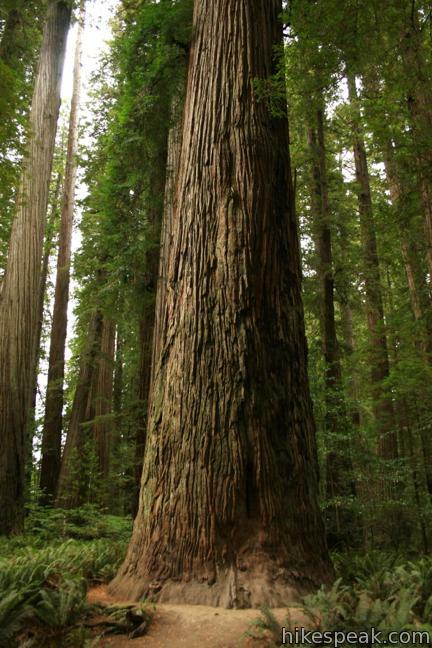 For a stroll through an old growth grove of coast redwoods, head to the heart of Jedediah Smith Redwoods State Park – Stout Memorial Grove. 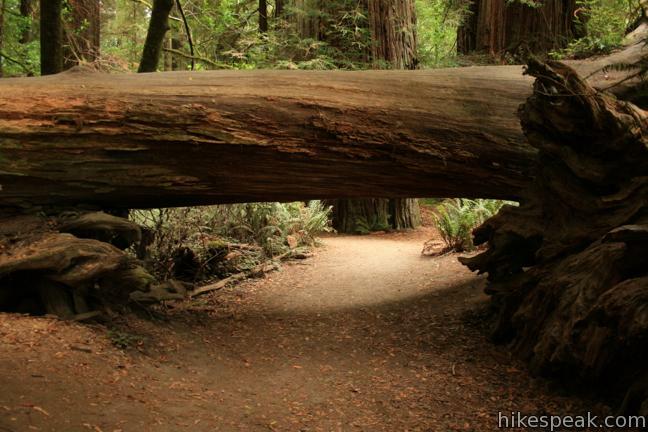 At just over half a mile in length with 75 feet of elevation change, Stout Memorial Grove Loop Trail offers an easy and enthralling hike through an ancient forest. 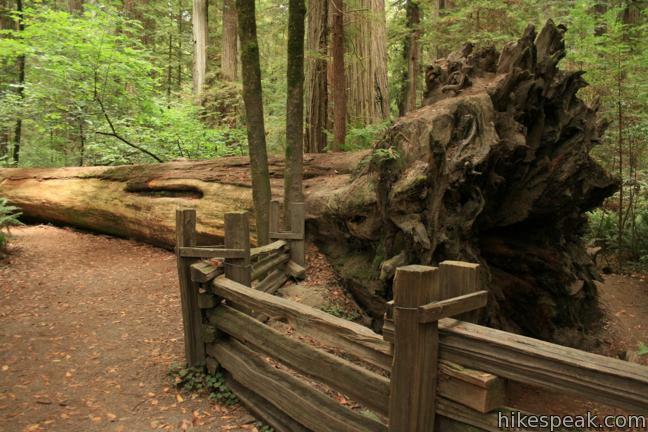 Century old trees rise hundreds of feet above a lush carpet of ferns to create a enchanting hiking experience. 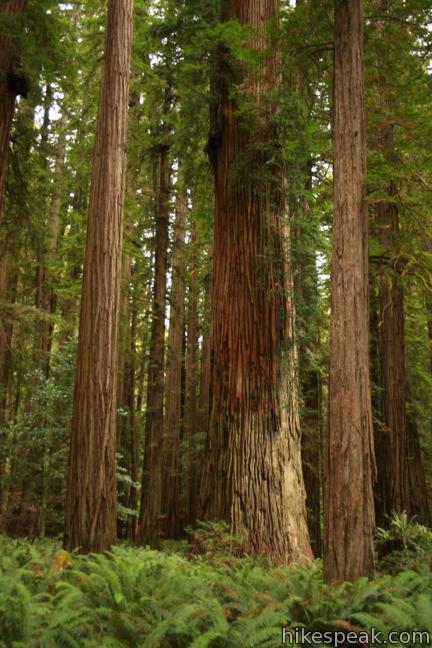 In 1929, the 44-acre grove was donated to the Save-the-Redwoods League, the principal force behind the preservation of these irreplaceable trees. Clara Stout made the donation, saving the grove from logging while honoring her late husband, Frank D. Stout, for whom the grove is named. Stroll across the rich forest floor through a ferngully-like environment. Redwoods dominate the forest, sparing just enough sunlight for a few saplings to grow. Sword ferns and diminutive redwood sorrel (which resemble oversized clover) make the most of the remaining light, thriving in the shady understory. The open airspace allows you to gaze skyward, craning your neck for a glimpse of the top of one of the 300-foot redwood. 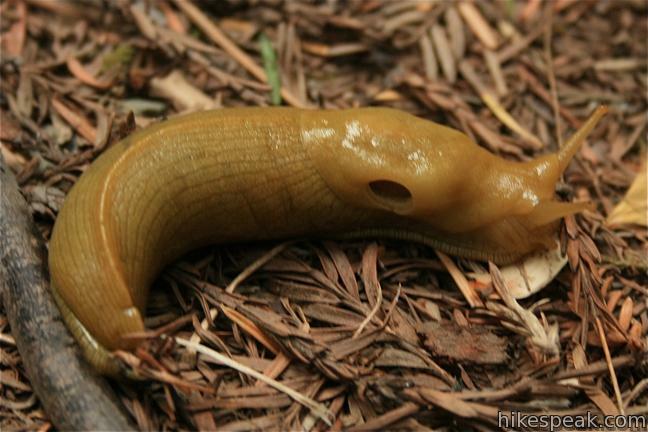 If you see something yellow on the ground, it’s not fallen fruit, it’s a banana slugs. These little colorful crawlers can be spotted slipping around the base of the redwoods. Two junction along the loop allow for additional exploration. 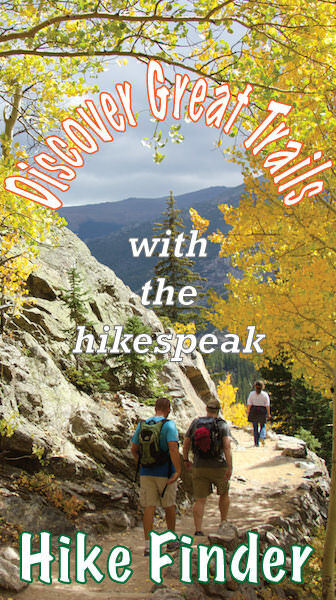 If you hike the loop in a clockwise direction. The first junction you reach will connect to Hiouchi Trail and Mill Creek Trail. This track can be used to reach the grove from Jedediah Smith Campground on the north side of the Smith River (useful to those staying overnight in the park). Campers gain about a mile of hiking through redwoods and skip several miles of driving on dusty dirt roads. The second junction is with River Trail, which travels east parallel to the Smith River. 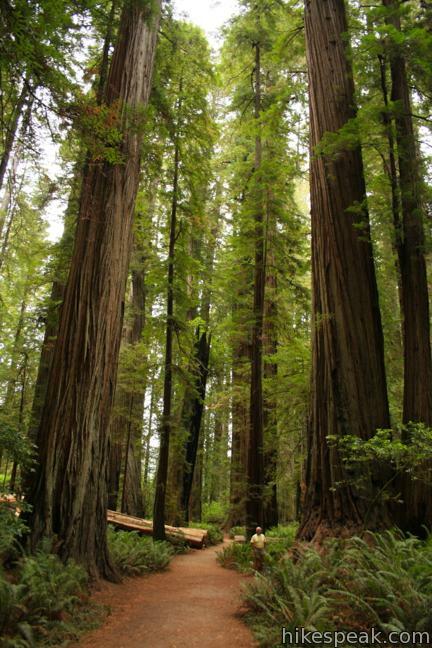 Without the extensions, Stout Memorial Grove offers a rich short hike. The forest is unimaginably lush and ancient. 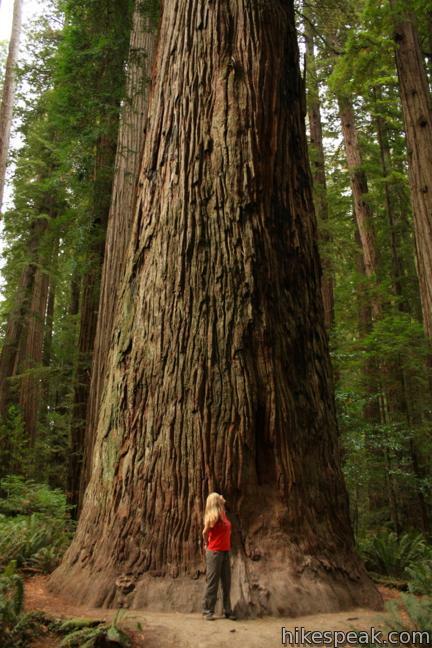 This is one of the very best places to experience a coast redwood forest in Northern California. To get to the trailhead: Traveling from the south on Highway 101, 2.5 miles south of Crescent City and 18 miles north of Klamath, turn north on Humboldt Road. After 1.5 miles turn right on Howland Hill Road and drive six miles up a dirt road through a redwood forest. Turn left and pull into the parking area for Stout Grove. Traveling from the north on Highway 101, 3.3 miles south of Smith River, turn east on Route 197. After 6.8 miles, turn left on to Route 199 (Redwood Highway). Drive 2.8 miles, passing Jedediah Smith Campground, and turn right on South Fork Road, crossing the Smith River. After half a mile, turn right on Douglas Park Drive and continue 2.3 miles to the turnoff for the Stout Grove Parking Area. 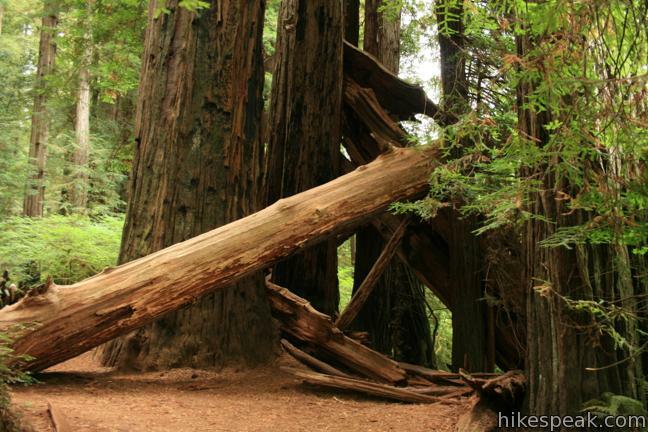 You may also view a regional map of surrounding Northern California trails and campgrounds. This 2.25-mile hike explores a rugged and beautiful area of California's north coast, combining Yurok Loop Trail and the Hidden Beach Section of Coastal Trail to visit beaches, forests, and ocean vistas. 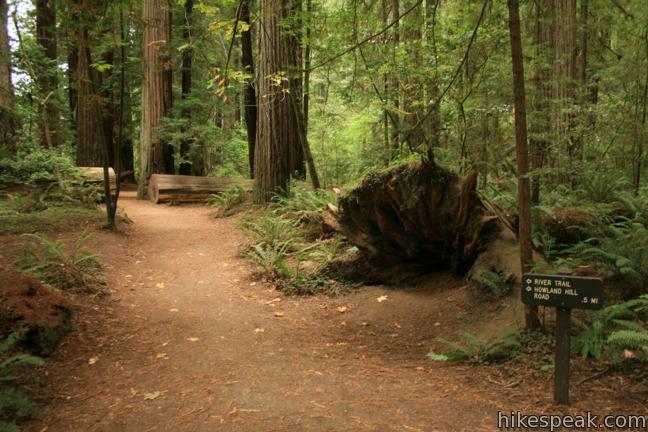 This one-mile hike explores an incredibly ferny canyon in Prairie Creek Redwoods State Park. 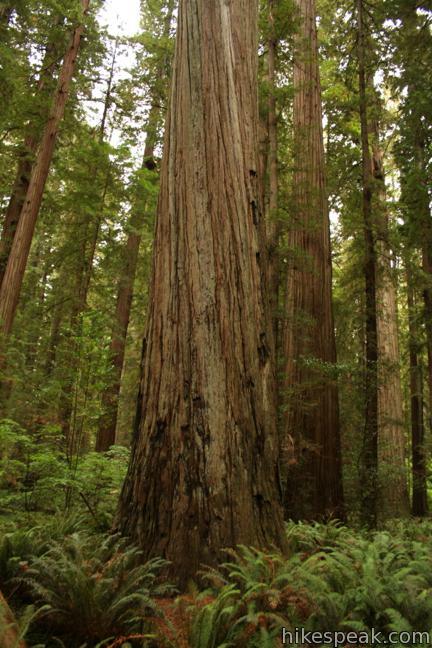 This 0.5 mile loop explores an ancient grove honoring the founders of the Save-the-Redwoods League in Humboldt Redwoods State Park. This half mile loop explores an old growth redwood forest across from the visitor center in Humboldt Redwoods State Park. This half-mile loop in Humboldt Redwoods State Park explores redwood groves dedicated to Grieg, French, and Bell, crossing ground covered in redwood sorrel to visit the Girdled Tree, which had its bark stripped away and sent to San Francisco. This 2.4-mile lollipop loop provides an easy and enchanting hike through redwood trees at the north end of Humboldt Redwoods State Park. 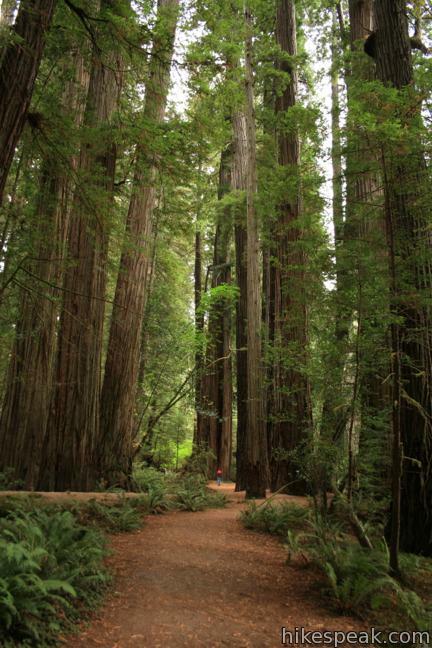 This 1.25-mile loop explores patches of redwoods surrounded by a shaded oak forest in Richardson Grove Redwoods State Park. This 3.75-mile loop climbs 1,000 feet to a forest ridge before descending to Lookout Point, where you can enjoy an unimpressive view to the south. Explore other trails in Northern California, including hikes in coastal parks and around Mount Shasta. I want to be here… right now! Stout Grove is one of 2 magical places on earth for me. I discovered it for myself 25 or 30 years ago and have returned many times. This area is majestic, serene, comforting, spiritual, humbling, soothing, awe-inspiring, reverent – I could go on and on. This is a place that refreshes and energizes my being. A place where I become one with my surroundings. Do yourself a favor and quietly honor nature with a visit. I have waited years to see this place. I was not disappointed. The omnipresence of these magnificent trees evoked a profound spirituality that I will carry with me until memory fails. 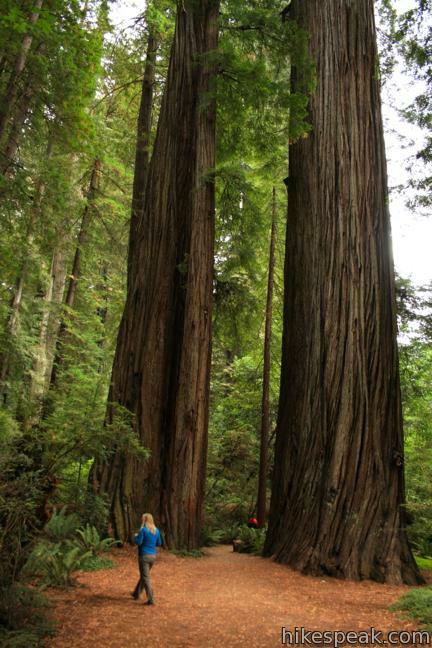 Jedediah Smith Redwoods State Park is my favorite camping spot in California. Are dogs allowed at Stout Grove? A stunning place to experience! Catch sunlight streaking through the enormous trees … greenery … Beautiful! Is there a low foot bridge that crosses a creek with clear water, showing the pebbles below, near the Stout Grove?